Why Is My iPhone Black And White? Here's The Real Fix! You are at:Home»iPhone»Display»Why Is My iPhone Black And White? Here’s The Real Fix! If your iPhone has suddenly turned black and white, you’ve come to the right place. Fortunately, the fix is simple and it won’t cost you a dime. In this article, we’ll discuss the reason why your iPhone is black and white and I’ll show you how to fix your black and white iPhone for good. The solution I describe in this article will work equally well for iPhones, iPads, and iPods, because it’s software, not the physical hardware, that has turned your display black and white. If your iPad is black and white, this article will help you too. Why Is My iPhone Black And White? Your iPhone has changed to black and white because “Grayscale”, an accessibility setting that was introduced in iOS 8, has accidentally been turned on. 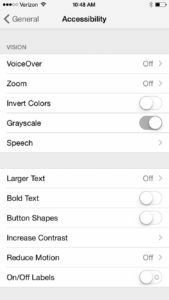 Grayscale mode makes it easier for people with color-blindness and difficulty seeing to use the iPhone. It’s an lifesaver if you have difficulty seeing colors. If you don’t, having a black and white iPhone can be frustrating, especially if you don’t know how to turn it off. How Do I Change My iPhone From Black And White To Color? 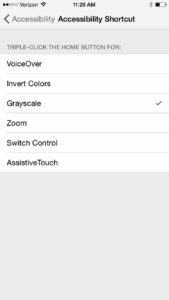 To change your iPhone back to color, go to Settings -> General -> Accessibility and tap the slider to the right of Grayscale. 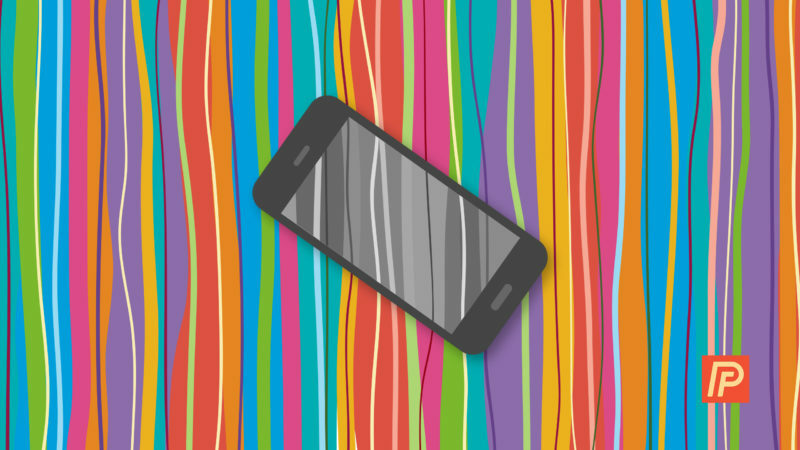 Your iPhone will instantly change from black and white to full color. Problem solved – probably. After I wrote this article, I received a number of emails from people whose iPhones were still black and white, even after they turned off the Grayscale setting. Special thanks goes to Anita, a commenter who let me know about a second setting that can turn iPhones black and white. If your iPhone is still black and white, go to Settings -> General -> Accessibility -> Zoom -> Zoom Filter and tap None. To learn more about how Zoom works on your iPhone, check out my article about how to fix iPhones that get stuck zoomed in. Before you declare the problem solved for good, it’s important for me to point out one more setting that may be causing Grayscale to turn on and off without your knowledge. Head back to Settings -> General -> Accessibility, scroll all the way to the bottom, and tap Accessibility Shortcut. Accessibility Shortcut is a handy feature that makes it easy to turn accessibility features on and off by triple-clicking the Home button. If any of the features you see listed have checkmarks to the right, it means that you can enable that feature by triple-clicking the Home button. If Grayscale is checked, tap the checkmark to turn off that accessibility shortcut. That way, you can’t accidentally turn Grayscale on or off as you go throughout your day. In this article, we discussed the reasons why your iPhone changed to black and white and how to restore your iPhone to full color. I’d love to hear your experiences in the comments section below. If you have other questions about your iPhone, iPad, Mac, PC, or other technology, the Payette Forward Community is a great place to get help. Next Article My iPhone Cable Is Hot! Can A Hot Lightning Cable Cause Damage?